With the belief that confidence is the key to looking and feeling beautiful, Nick Chavez set out to develop a unique line of hair care products. The Nick Chavez Beverly Hills salon has treated many celebrities to Nick's skill and dedication as a stylist as well as his knowledge in fashion and other areas of beauty. Now that experience can benefit everyone. The goal of Nick Chavez Beverly Hills is to arm everyone with the best possible formulas for a specific hair type or concern. Everyone can discover beautiful hair by using the right combination of shampoos, conditioners, styling products and treatments. Nick Chavez Beverly Hills can help you discover your confidence by giving you gorgeous locks. After humble beginnings, Nick enjoyed a successful career as a model and an actor. His passion as a hairdresser led to many opportunities including owning his own salon and developing his own style of hair care products for everyone to enjoy, celebrities and others alike. Nick's expertise landed him roles on several different makeover shows where he was able to use his knowledge in order to transform the looks of everyday people, allowing them to exude confidence and beauty. The "Every Day Gorgeous" aesthetic that defines the Nick Chavez Beverly Hills brand stems from its founder's lifelong passion for style, fashion, and self-expression. Nick Chavez hails from a ranch in the Gila Valley near Yuma, Arizona, where from an early age he mixed daily chores, including horse-grooming, for which he showed a preternatural talent, with hairstyling practice on his many family members. Such eclectic formative work instilled both a rock-solid work ethic and a flair for the creative, qualities that soon were serving Chavez well as a hairdresser at a Beverly Hills salon. After a successful stint modeling and acting stateside and overseas, Chavez opened his own salon in Beverly Hills and began amassing an impressive coterie of celebrity clients. His high standards for hairstyling products were left unsatisfied by much of what he could find on the market, so he eventually decided to create his own brand embodying his commitment to quality and accessible glamor. The Nick Chavez Beverly Hills line gives you Hollywood-quality tools in an affordable and easy-to-use package to achieve the luster, responsiveness, and elegance you've always dreamed of for your locks. Whether it's a shampoo, a conditioner, a styling spray, or any of the other diverse products in the Nick Chavez stable, you can rest assured you're tapping into a brand firmly dedicated to allowing each and every person the chance to unlock their inner potential and beauty. Whatever the character and color of your hair, you'll find options for harnessing its inherent uniqueness in the Nick Chavez Beverly Hills lineup. With years of experience as a hairdresser in the demanding world of Beverly Hills beauty salons, and as an actor and model -- he starred in several television series and worked the fashion runways of Europe -- Nick Chavez knows hair. Despite his success in those fields, his passion and love for hair and hair care brought him back to where he finds his greatest commitment. 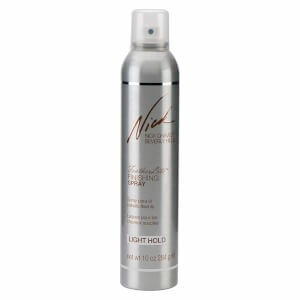 Certainly, his line of Nick Chavez Beverly Hills Products shows his understanding of how to bring out the best in hair. His formulas are designed to provide the most positive solutions for each type of hair, offering the ingredients needed to maximize their potential. 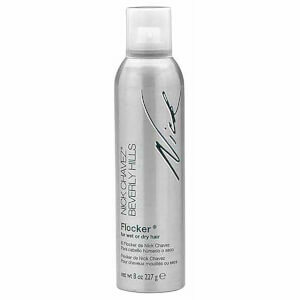 With the experience and practical work on a variety of hair types, Nick Chavez Beverly Hills Products reveal his firm grounding in what hair needs and how to deliver the formulas to meet those needs. The range of Nick Chavez Beverly Hills Products offers solutions, and practical ones at that. There is no need for fuss or time-consuming steps; the products serve the users. That is why his slogan is, "Every day gorgeous!" Why would anyone who has appeared on the covers of Elle, GQ and Esquire -- not to mention a 100-foot Times Square billboard! -- come back to the demanding world of Beverly Hills hair salons? Commitment. This dedication to his life-long craft is revealed in the Nick Chavez Beverly Hills Products, a line of hair care treatments and solutions that can bring his talents directly to your needs. Begin at the beginning with clean and healthy hair. Wash in body, even into hair subjected to coloring and chemical treatment, with Nick Chavez Beverly Hills Volumizing Shampoo. The formula is designed specifically to add bounce, body and luminous shine while it moisturizes, strengthens and protects from scalp to hair tip, using a wonderfully diverse suite of botanical extracts and oils. This is only the beginning, of course. 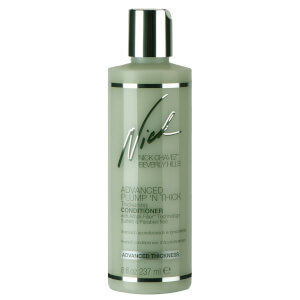 Transform hair from unresponsive, limp strands to a healthy, full body that responds to light, movement and touch with Nick Chavez Beverly Hills Volumizing Conditioner. The silk amino acids, vitamins and plant-derived ingredients add volume and protect the health and color of the hair, all without weighing it down. Add hold without a spray can, using Nick Chavez Beverly Hills Amazon Infinity Mist. Keep the touchability, even with extra strength and hold, with a hard-working collection of botanical extracts and plant-based ingredients. Keratin amino acids add the same natural material already found on your hair shafts, keeping each strand strong but flexible. 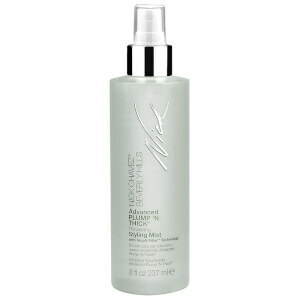 As a stay-on after-conditioner spray, it keeps your hair holding your style throughout the day.